Review: Priscilla Queen of The Desert – the musical. Christchurch Theatre Club. Loughborough Town Hall. – East Midlands Theatre. Duncan Gadsby makes a fair dinkum Aussie Bob who finds true love in the most unexpected place and loses his crazy Filipino and temperamental ping pong exhibitionist wife Cynthia (a very funny Hannah Osgood) along the road to happiness. 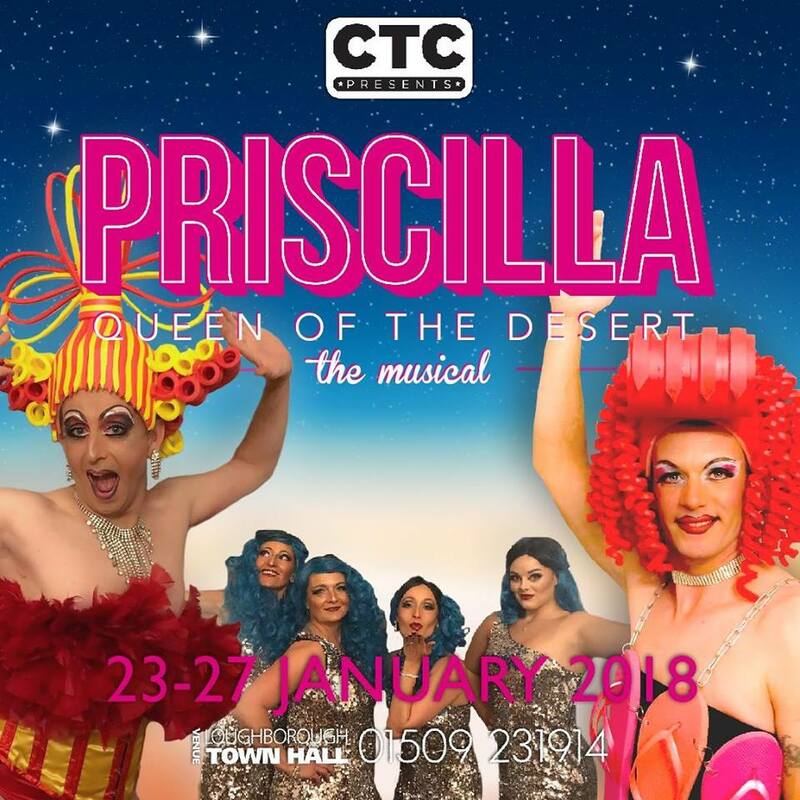 For a sparkling show with more camp than a row of pink camper vans, Priscilla Queen Of The Desert – the musical is currently parked up at Loughborough Town Hall and runs until 27th January 2018. Christchurch Theatre Club are delighted to announce that the whole week is sold out. No photos were available at the time of this review. Thanks for this review. Very much looking forward to seeing the show on Friday night. Lakeside Arts Nottingham. Chinese Year of The Dog Celebrations.